Buy Dora @ Swift Coffee Book Blog a Coffee. ko-fi.com/doraatswiftcoffee - Ko-fi ❤️ Where creators get paid by fans, with a 'Buy Me a Coffee' button. Hey! 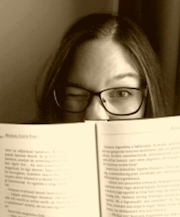 I'm Dora and I've created and regularly writing on a book blog, Swift Coffee. I'm very passionate about books, and I feel recommending them to others, and thus putting the right books into the right hands (and minds) is very uplifting. That's why I started a blog: my missions is to spread the word about those precious stories I read. All donations are strictly spent on improving the blog! Secured Payments. Support goes to Dora @ Swift Coffee Book Blog's account. Upgrade Dora @ Swift Coffee Book Blog to a yearly Gold Membership with a one-time payment.